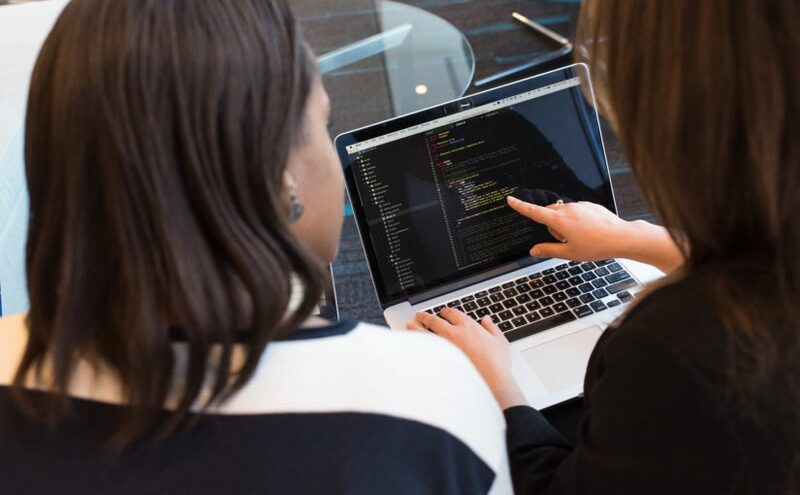 With technology advancements and the explosion of data, programmers are shifting from writing code for known outcomes to building contextual and self-learning capabilities that can solve for the methodology to get to an outcome. Similarly, we predict that using modern AI-based technology, the role of recruiters will progress from running the process to configuring the intelligence for the process that can run by itself and automatically get better. Traditionally, the core of B2B software was a collection of if-then-else statements that solved for a specific business outcome. A programmer would typically write a structured language input, that a machine can understand, with the intent and expected output in mind. This worked well when all intents and outcomes were clearly defined and known upfront. However, with the explosion of data that organizations are collecting, intents are often buried deep in data and a programmer may not always know them upfront. An intent in today’s world is a combination of interesting correlations found within data in question and a human’s perception of whether they are valuable and if a true causal relationship exists. Tools to analyze data are then designed to include easier ways to ask more natural language questions so that one can proactively discover if there is a worthwhile path to chase. There is certainly the role of the developer that identifies, assimilates and cleans data along with building and training models to identify interesting relationships. These models, once trained, need constant maintenance to make sure that their predictions are sound – doubling down on the right correlations and choosing to ignore others. So while the programmers are building the foundational layer to process and poke data sets, there is an emerging role within organizations for constantly identifying patterns, validating them and training the system to get smarter for the broader business outcomes. Before we answer that, let's look deeper into what these AI tools essentially do. Their stack generally is composed of two layers: (a) Workflow automation and (b) Trainable models absorbing new data generated and translating them into improvements for the same automated workflows. While these systems can automate workflows, every organization will be different for the exact workflow steps and expected outcomes. A general purpose workflow automation system will thus neither be good enough for any individual organization nor give that same organization an edge over their competitors deploying the same tool. A recruiter’s job in this world is then to both assemble the right set of tools so that efficiency is maximized and to train the net system to work best for their organization. To do so, they would now need to spend time dissecting data to understand patterns and anomalies as well as train the system to make smarter causal relationships for that organization. In essence, the level and knowledge needed to both identify and execute if-then-else statements have been elevated at a level which is accessible to a recruiter, who can now interface directly with the AI tool (ie machine). Already there are enough recruiters who are trained to speak machine language. This newfound ability to tune a system without any specific development effort, traditionally beyond the reach of a recruiter, demonstrates strong semblance with that of an evolved programmer. The analogy established above is not futuristic – we already see recruiters in our customer’s organizations who are actively playing this role. A large hospitality chain customer of ours has completely automated their entire recruiting process, from Capture to Hire. Their recruiters are now spending less than half of the time they used to in traditional administrative activities. Instead they have repurposed their efforts in looking at the underlying intelligence tool, trying to determine patterns and fixing it directly – how disqualifications reasons vary based on geography and roles, why certain applicants are stuck in the process even though they seemed a good fit, how interview show-rate for interviewers can be made better etc. These actions are further making the system nuanced and truly automated across the varying hiring needs across the company.